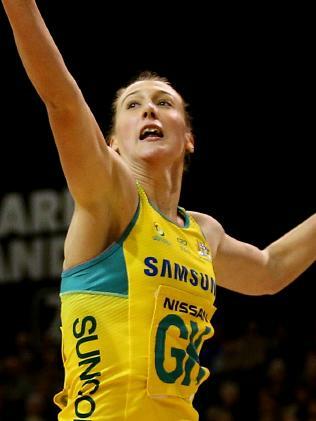 Kate Moloney playing in the Fast5 Netball World Series. 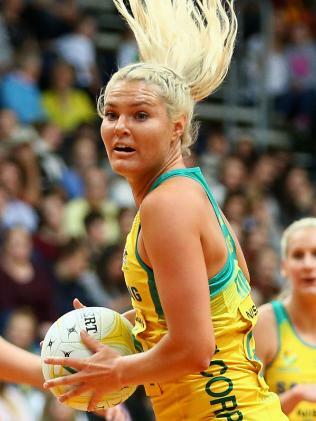 Coach Lisa Alexander says she has every area of the court covered should the team be plunged into injury dramas ahead of their defence of the Commonwealth Games gold. "Touch wood we've been lucky so far,'' Alexander said, confirming her entire 12 are currently fit and injury free. 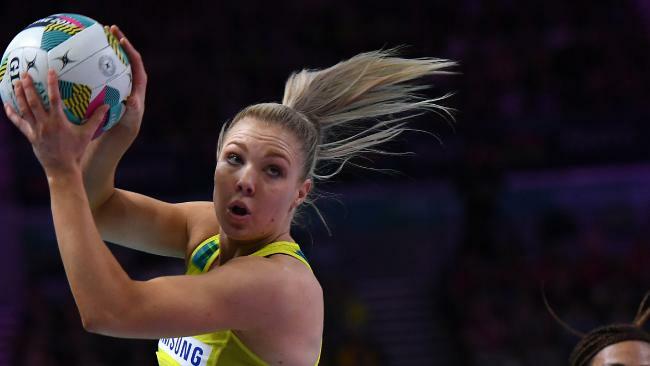 The Commonwealth Games 12 were unveiled last week with former Australian Laura Geitz in but fellow defender Sharni Layton missing the cut. With the squad restricted to just 12 for the Games, Alexander said it is crucial she has every position on the court covered with the addition of four players also making training sessions easier. Defender Emily Mannix, midcourter Kate Moloney and shooters Tegan Philip and Gretel Tippett will join the 12-strong team as training partners at an AIS training camp in early March. 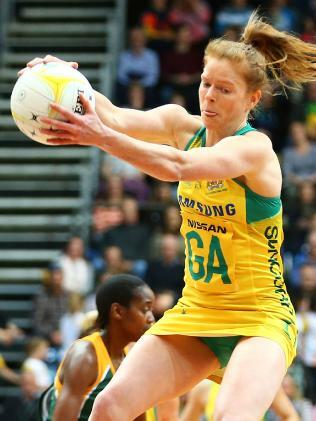 "We utilised training partners in our preparations for the 2014 Commonwealth Games and 2015 netball World Cup, and the results speak for themselves," said Alexander of Australia's wins at both tournaments. "The fact that we can have four strong, skilled Diamonds further extend the team during the training camp shows the depth of our squad. Australia's first match of the Commonwealth Games is against Northern Ireland on April 5.